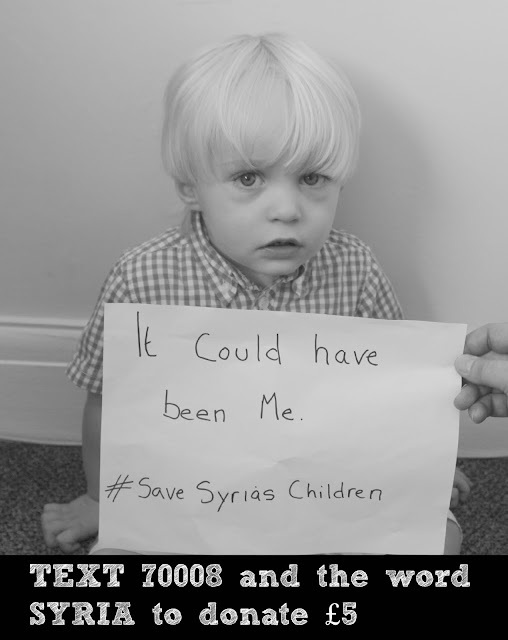 Yesterday my Facebook timeline was flooded with images of adorable children. Most of them happy, smiling, excited as they posed in their brand new school uniforms ready for their first day at school...4 and 5 year olds, with their whole lives ahead of them, excited to go off to learn new things and make new friends. But there was one child among those images...one child who will never do those things now...one child who instead of grinning in to the camera, laid face down in the water. 5 year old Galip Kurdi, his 3 year old brother Aylan and their mother washed up on a beach in Turkey...the latest of the estimated 2,500 people to have perished at sea this year trying to flee their homeland to safety. I try not to talk about political issues on my blog too much as, I won't lie, I'm certainly not the most well-educated person on the topic - but I am a mother, and I know without a shadow of a doubt that NO parent would choose to put their child into the water in the hope of reaching safety unless they felt it was their only chance at survival. Since seeing those images, and the images of the children at borders in France and Hungary with such fear in their eyes, my mind won't allow me to forget it. And I can't ignore it...I won't ignore it. If there is ANY small thing I can do to help in any way, I HAVE to do it. Because if the tables were turned and it was my children in that situation, wouldn't I be hoping and praying that people out there were trying to help us? That other mothers would feel our desperation and step in to save our poor innocent babies who had no hand in this, who did nothing wrong, who deserve to live in safety? I donated as much money as I could spare to Save The Children's Syria Appeal. I signed the petition to David Cameron for the UK to do MORE...to take in more of the refugees. 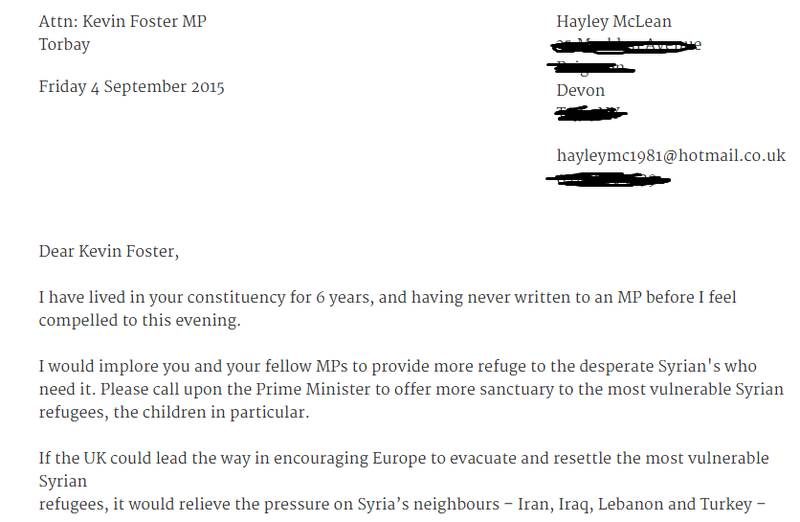 I wrote to my local MP and asked him to call upon the Prime Minister to do more on our behalf....I have never written to a PM before in my life, but I felt compelled to do something. This evening I will be putting together care packages to take to a local charity who are delivering aid to the refugees in Calais. And I am joining up with a group of bloggers who want to use our platform to try to raise awareness and as many donations as possible. In another life, with just a simple twist of fate...it could have been any one of our children washing up on that beach. Please don't turn a blind eye...please help in any way that you can. To write your local MP, go to www.writetothem.com and enter your postcode, it takes mere moments to do. Whatever you choose to do....please do something. Please don't let their deaths be in vain.